Achieving that super smooth oil finish on your wood projects. 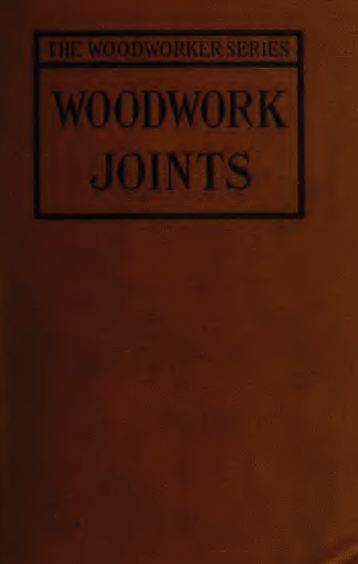 The principal aim of this volume is to provide the woodworker with full information as to the uses, and clear practical directions as to the making of every joint he may at any time be likely to encounter. Those of whose occupation or recreation is woodworking are familiar with numerous joints which we make and use in our own way. It is possible, however, that there are many which we do not make well, not because we lack skill or care, but because we are unfamiliar with some simple rule which governs either the setting out of the method of using the tool, whilst probably there are many others which might suit our purpose better, but which we neglect because their existence has never occurred to us. This book aims to educate student and professional woodworkers and carpenters alike.